Fantasy Hockey Coach Prospects Guide examines the top prospects in the NHL. What you can expect in the Prospects Guide is player profile, projection, potential upside, current player comparison and estimated time of arrival in the NHL. In order to qualify as a prospect for our guide the player must be under the age of 25 and have played less then 20 NHL regular season games. The guide will be roughly 100+ pages and give readers insight into each NHL team's prospect with a fantasy twist. A look at the top 20 prospects for the next four NHL Entry Drafts. To see a preview of the 2012 FHC Prospects Guide click here. Posted by pharling at 10:33 a.m. Currently the NHL is a 30 team league. The current collective bargaining agreement is about to expire, and last season the Atlanta Thrashers moved to Winnipeg and the League has had a potential realignment plan rejected by the NHLPA. The Phoenix Coyotes have no owner and several other teams are in financial distress. 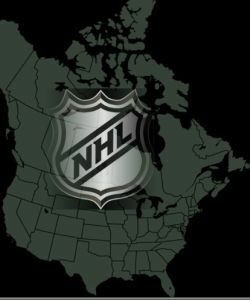 With so many issues swirling and surrounding the NHL when the dust settles, what will the map look like? Posted by pharling at 5:01 p.m. In this weeks report we look at updates, players recently injured, the resulting suspensions, and more. Posted by pharling at 3:08 p.m. The Calgary Flames over the past several years have been a veteran team with playoff aspirations in mind. Unfortunately they have failed to qualify for the post season for the last three seasons. With a veteran roster that is fifth highest paid in the league and a bare prospect cupboard, it is time to burn the current franchise down, and build it back up again. Posted by pharling at 10:05 a.m. 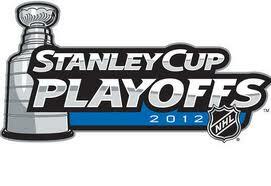 The Stanley Cup Playoffs round one begins, but not for players on the IR Report. Posted by pharling at 11:52 a.m. 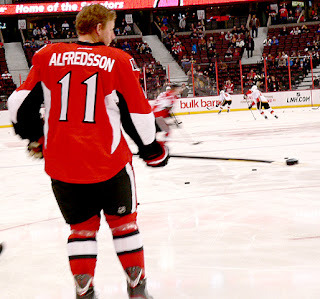 The First place New York Rangers will hold home ice advantage in a best of seven series against the eighth placed Ottawa Senators in round one of the 2012 Stanley Cup Playoffs. Will this be a quick series sweep as the standings would indicate, or is there potential for a first round upset? Posted by pharling at 3:23 p.m.